Grab, Southeast Asia’s top ride-hailing company, has hit a roadblock in its efforts to improve its mapping and routing service after running into trouble with OpenStreetMap, the world’s largest collaborative mapping community, through a series of blundering edits in Thailand. Grab, which gobbled up Uber’s local business in exchange for an equity swap earlier this year, has busily added details and upgraded the maps it uses across its eight markets in Southeast Asia. Accurate maps are, of course, essential to a smooth ride-hailing experience for Grab’s 125 million registered users. Without accurate location details, ensuring that drivers and passengers can easily rendezvous becomes nearly impossible. Grab’s effort to improve the never-ending quest of more accurate maps involves a multi-input approach that uses Google Maps as the base with Grab adding in its own information — “points of interest” cultivated through customer feedback and groundwork — and other public or licensed information. However, what appears to be a focus on speed has seen it suspend all activities in Thailand — Southeast Asia’s second-largest economy — after it was found to have overwritten data developed by OpenStreetMap (OSM) with inaccurate edits that were created by a remote team based in India. Established in 2006, OSM’s mission is to “make the best map data set of the world” and it makes its data, which is developed by more than two million volunteers from across the world, available for use without charge. An India-based team from GlobalLogic, an outsourced software firm contracted by Grab, made dozens of edits in recent months that overwrote information created by OSM members, who voluntarily map streets by visiting them in person. Grab suspended work in Thailand by the GlobalLogic team after OSM members complained about numerous incorrect edits in OSM forum posts. Unlike the hobbyist mappers who collect data in person, the Grab contractors used satellite imagery to “correct” local map details in Thailand which, in fast-changing cities like Bangkok, meant that their work was incorrect because it relied on out-of-date sources. One mapper, so exasperated at the continued flow of inaccurate updates, began labeling correcting summaries with #WhatInGrabsNameIsThis to document the trail. More than 30 edits included the hashtag, but countless others may not have been found yet. “OpenStreetMaps, for the most part, is craftsmanship but they are coming at this with an industrial mindset,” Mishari Muqbil, a Bangkok-based OSM member, told TechCrunch. Muqbil, who previously arranged and managed a workshop to help local Grab staff and volunteers working on maps in Thailand understand how OSM works, said he spent “hours” fixing road edits in his neighborhood which had been incorrectly changed. “God knows what they’ve been doing in other places,” he added. The problems came to a head in November when the OpenStreetMap Foundation’s board of directors rejected membership requests for “more than 100 applicants” from GlobalLogic, thereby restricting the number of outsourced representatives working on maps for Grab and other clients of the agency. “There had been a mass sign-up of 100 new accounts on 15.11.2018 from India, most coming from one single IP address from a company ‘well known’ to OpenStreetMap. There had been a larger amount of complaints regarding edits from that company, who provide ‘mapping services’ to other companies,” read a circular issued by the board. Update 12/20 08:19 PST: The board rejected a proposal to reject the applications, so they were in fact accepted. The incident was the most significant membership rejection spree from OSM since 2011, the board said. Beyond making incorrect edits using a remote team, Grab — which is finalizing a $3 billion funding round from the likes Toyota and SoftBank, and has raised $6.8 billion to date — appears to be using OSM data without proper attribution. In a phone interview, Ajay Bulusu — head of regional operations at Grab — confirmed that the company uses OSM data, but he told TechCrunch that it is not consumer-facing within Grab’s app. Instead, he explained, Grab uses the information for some internal algorithms, routing and estimated time of arrival data. Bulusu — a former Googler who joined Grab last year — explained that the company uses a combination of information, including OSM data in some places where needed. Grab, however, does use OSM data in consumer terms, as a blog post from Muqbil explains. There are some parts of Bangkok where the ride-hailing app routes a ride through roads that are not shown within the Google Map overlay that it uses to display locations. Muqbil previously claimed Uber did the same. While it may be true that Grab doesn’t use all of OSM’s data in its consumer product — it uses a lot of its own information, including GPS pings from previous journeys — the fact that it integrates any portion of the organization’s data in its service means it should include credit. Grab’s app currently displays no credit, which violates OSM’s license agreement. When presented with two examples that appeared to show a use of OSM data, Grab backtracked and confirmed that it does use some of the organization’s data within its consumer-facing apps. Grab’s statement (below) doesn’t say that the company will add attribution to its map, per OSM policy; instead, the company suggested that it will update an OSM Wiki page it operates. We have always been open and transparent about the partners we work with and the sources of our data. We are actively working to find the best way to acknowledge all sources within the app itself. With regards to OSM specifically, we outline our partnership here: https://github.com/GRABOSM/Grab-Data. We are also updating the Grab OSM Wiki page with more details of our partnership. Grab and the OSM community have worked closely together across many Southeast Asian cities – we share the same goal, which is to map SEA better for the common good. It’s been a very positive relationship by and large and one that we are excited to keep expanding. Update 12/20 04:30 PST: Grab said it has included attribution to OSM within its app, although the credit is not appended to the map itself as is required by its licensing agreement. However, that license appears focused on map products based on substantial usage of OSM data, but Grab is somewhat of a newer use case since it uses a smaller amount. It may sound trivial to some, but mapping information is a crucial differentiator that is much sought-after by the world’s billion-dollar ride-hailing companies. Indeed, Grab’s failure to comply with OSM’s policy comes barely a week after it was reported that Go-Jek — its Indonesia-based rival that’s backed by Tencent, Google and others — had copied Grab’s map data, specifically its points of interest in Singapore as part of its recent expansion into the country. Bulusu refused to be drawn into commenting on the reports, claiming that he “doesn’t know” if Go-Jek did scrape Grab’s data. A Go-Jek spokesperson did not reply to a request for comment. Grab has indicated its intention to work more closely with the OSM community in Thailand. A recent report from Quartz shone a light on the work it is doing in Southeast Asia, particularly in Indonesia, where it collaborates with HOT, Humanitarian OSM Team, a nonprofit that spun out of the OSM movement, which specializes in mapping for disaster relief. Bulusu said he plans to meet with Thailand’s OSM community while he admitted that the company must do better. As part of that bridge-building effort, Bulusu himself has committed to meeting with OSM members face-to-face in Thailand. 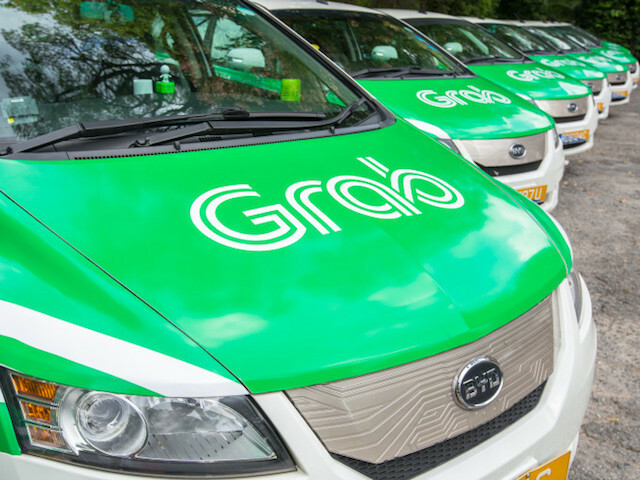 A meeting at Grab’s office in Bangkok is in the planning, although the Grab exec has not yet committed to a request to meet in Chiang Mai, where a substantial number of community members are located. It’s certainly ironic that Grab, which CEO Anthony Tan continually positioned as the “local champion” during its battle with Uber and has raised more money than any startup in Southeast Asia, has resorted to outsourcing elements of its mapping to India and, in doing so, harmed the local champions developing maps that are designed to help improve services for all. Bulusu, however, defended Grab’s use of GlobalLogic. He said that Hyderabad, where the GlobalLogic team working with Grab is based, “is where most global mapping talent is based.” He said usage of the agency was “complementary to local teams” and, while he acknowledged that there could be errors, he again reiterated that Grab is keen to establish a system of working with Thailand’s OSM community. The article misrepresents the positive relationship we have with the OSM community across Southeast Asia. Together, in collaboration with OSM, we have conducted numerous meetups, mapathons and other outreach across the region like our GEO*Star program to nurture interest in mapping among the larger community. By working hand in hand with OSM, we have reviewed almost 1 million KM of roads across SEA this year alone. We take exception to the misleading headline, and are disappointed that the article focuses only on some mistakes made in Thailand, without highlighting the full efforts of Grab’s on-ground education and training to improve maps in Southeast Asia. We hope this does not detract from scale of the impact the whole mapping community can make, nor deter enthusiasts and corporate partners from participating in the effort. Specific to the concerns of Thai OSM, we acknowledge that mistakes have been made in Thailand and would like to assure the community that they do not have to be unduly alarmed, as the number of wrong edits made are small and were rectified immediately as soon as we were alerted to them. Out of 150,000 map edits we contributed to OSM in Thailand, 52 (0.03%) were flagged as mistakes by the local community. We believe the best results and quick improvements for mapping are best done through collaboration and community effort, and we will continue to contribute where we can, and most importantly, engage with local mappers to make sure we do it right. 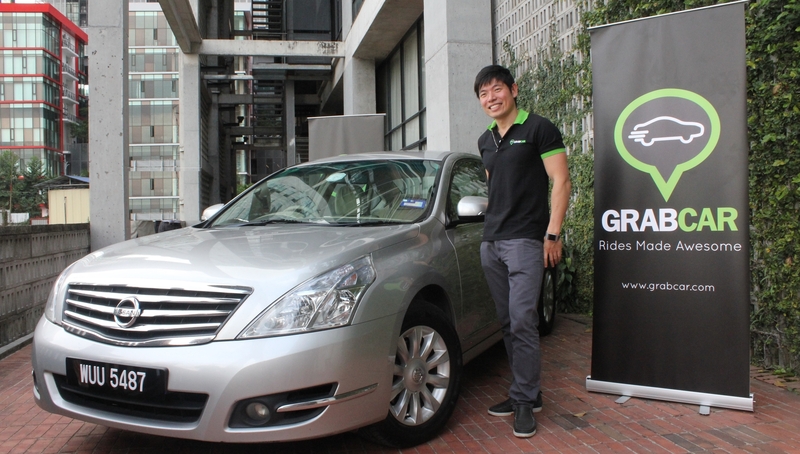 In addition from a TechCrunch perspective, during research for this story, TechCrunch held numerous phone interviews and conversations with Grab and exchanged multiple emails prior to the publishing of this story, which is focused on Grab’s mapping efforts in Thailand.